It's Monday. I'm sorry. To make things a bit better I give you some bling, but not your standard necklace or bracelet, I give you jeweled heels. I'm starting with my favorite of the bunch. 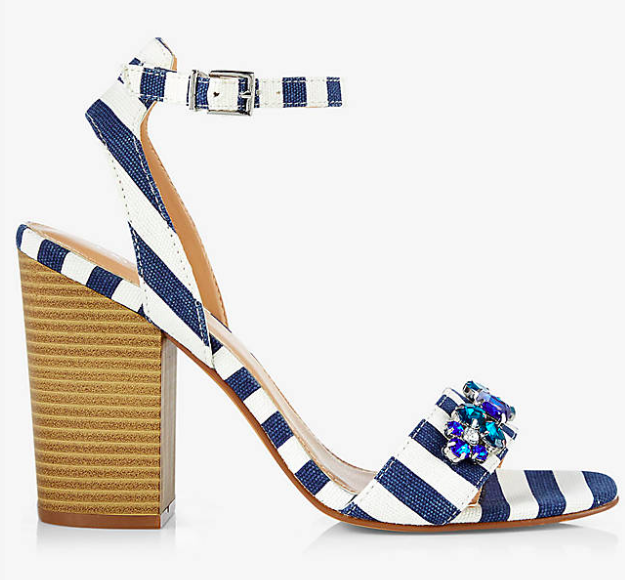 Stacked heel, navy strip, and just a touch of bling. Get that pedicure ready ladies. How comfy do these look? I'd pair these with a sundress or a maxi. 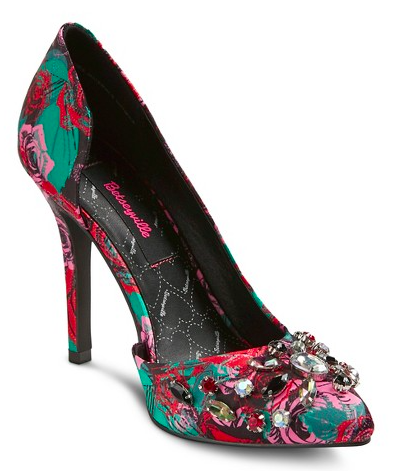 Betsey Johnson and Target, can we just for a minute? Yes. 44% off ladies. 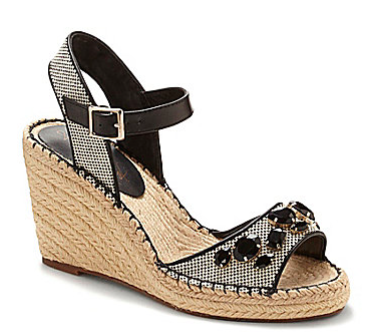 How great would these be for a rehearsal dinner or a hot summer night. Did I brighten your Monday? I sure hope so because these blinged beauties are making my Monday sparkle.